It was [Hafez al-Assad’s] ability to inculcate a suffocating cult of personality, buttressed by fear, often the most visceral sort, the kind that once led Egyptians to quip that the only place where it was safe to open your mouth was the dentist’s office. By the end of several hours interviewing Makhlouf in May, it was not pomp, not imagery and not detachment that denoted the imperium. It was the pronouns. The way he used them said much about how power has been exercised in the Arab world and why it has finally begun to crumble. He echoed an Arabic proverb – alaya wa ala aadai’i ya rab. Translated loosely, it means that we won’t go down alone. What Makhlouf, a businessman with no title, no official capacity save his membership in the president’s family, suggested was that Syria belonged to them: its property and people, their aspirations and fate, their history and their future. In essence, consciously or not, he gave voice to the sign that has long marked the crossing for visitors across the rocky wadis dividing Lebanon and Syria. Deprived of a popular mandate, or even consent, Arab leaders have long searched for the instruments to show their power was an entitlement. Sometimes they are symbols, meant to convey legitimacy. Anwar Sadat mined the 1973 war, when Egyptian troops overwhelmed Israeli defenses on the Suez Canal. He turned to Islam, casting himself as “The Believer President.” His successor, Hosni Mubarak, tedious and taciturn, saw the very notion of stability as legitimizing his rule. 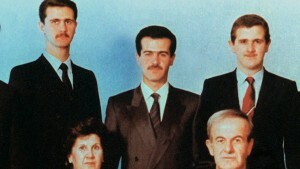 Bashar al-Assad’s father, Hafez al-Assad, looked far and wide, too. His rule was meant to seem eternal, as his images were omnipresent. “The Leader Forever,” his portraits read. 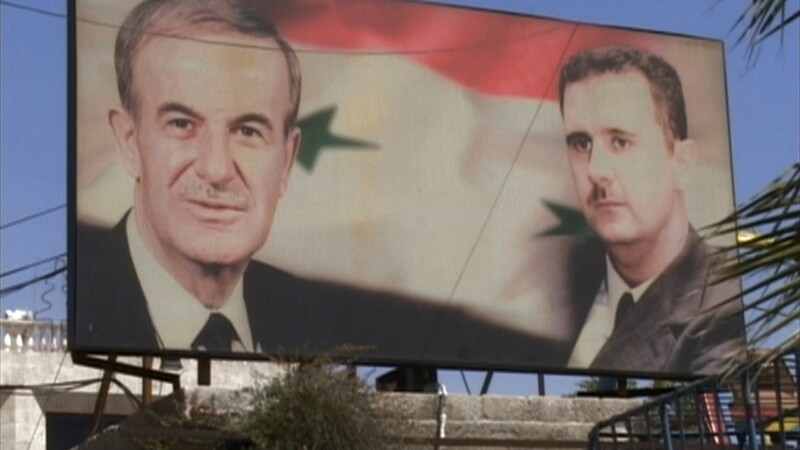 But his success relied not on his regime’s ability to end a volatile chapter of Syrian history that saw dozens of attempted coups over more than 20 years, or the modernization of infrastructure and education, or his service to the poor and rural, like him, who represented his base. It was his ability to inculcate a suffocating cult of personality, buttressed by fear, often the most visceral sort, the kind that once led Egyptians to quip that the only place where it was safe to open your mouth was the dentist’s office. Hafez al-Assad was sophisticated, and the dour visage that he fostered was supposed to suggest a certain cunning, an understanding of how pervasive fear could be. He built the wall brick after demolished brick in Hama, where his regime’s crushing of an uprising in 1982 is one of the bloodiest chapters of the modern Arab world. He tended to that wall, too, with the machinations of an inveterate plotter who understood the sectarian dynamics of the country — he ensured that every sect shared in the bloodletting in Hama — and who knew that loyalty was best fostered by reliance on family and sect, namely his own Alawite clan, a heterodox Muslim group that accounts for about 10 percent of the population. This was Syria of the Assads: rendered in their image, haunted by their phobias and ordered by their machinations. Bashar seemed to think he was different. 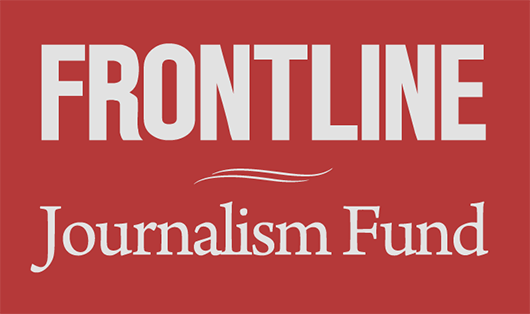 With his Sunni Muslim wife, education abroad and upbringing in the privileged circles of Damascus, where the children of poor Alawite officers from the countryside mixed with those of the moneyed elite, he lacked his father’s edge. He seemed to take pride in an everyman quality, frequenting restaurants and driving his own car. He made it clear that he wanted to be liked. Rare is an official who visits Bashar and doesn’t find him amiable, even humble. And so he presided over a brief opening after taking power in 2000, called the Damascus Spring. (His regime soon crushed it). He inaugurated a veneer of consumerism in the capital Damascus and Aleppo, Syria’s second-largest city. He dismantled the façade of the grim police state in both those cities and promised the bromide of every authoritarian leader: a China-style economic liberalization whose very success would mitigate the need for political reform. For a time, his seeming humility brought a measure of support his father never enjoyed. Even today Turkish officials, once his admirers and now plotting against him, rue what they see as a missed opportunity. Had he introduced sweeping reform and held elections before the uprising erupted in March, they say, he surely would have won. But Bashar believed his own aura. In those days, he declared his state immune from the upheavals of Egypt and Tunisia. He insisted that his foreign policy, built rhetorically on enmity with Israel, opposition to American hegemony and support for the kind of resistance preached by Lebanon’s Hezbollah, reflected the sentiments of an Arab world long humiliated by its impotence. His father, a poor boy who proved he was more, would have known better. Sheltered by a royal court, Bashar seemed oblivious to a drought-stricken countryside seething under the sway of utterly unaccountable security forces. He overlooked crimes that his family and the state had committed. He had forgotten that in the calculus of the imperium his father created, the instrument through which Bashar really exercised power, fear made more sense than adulation, whatever his modernizing pretensions. Even today, eight months after an uprising and a ferocious crackdown that, by the United Nations’ count, has killed more than 3,000 people and, by the Arab League’s estimate, put more than 70,000 in jail, people who have seen Bashar contend that he still doesn’t recognize the severity of the challenge. This summer, Turkish officials actually offered him their own intelligence to persuade him that the information coming from his people was bad, incomplete and misleading. They were telling him what he wanted to hear. But since then, the old truths have returned, and his regime has fallen back on the premise of his father’s rule. It has sought to restore the wall of dread between ruler and ruled. Syria is still subsumed in the logic of fear, which forces once diverse societies to hew to their smaller parts, obliterating the ability to imagine broader communities and other identities. As in Iraq, Syria’s neighbor to the east, the clichés of superficial analysis that preceded tumult now threaten to come true: Us or chaos. The regime posed as the guardian of Syria’s diversity, even as the House of Assad and its lieutenants relentlessly stirred that diversity so as to divide and rule. Pitting community against community, never in a more pronounced way than now, it may finally bring forth the civil war that it long claimed it was the bulwark against. In their ambition at least, the Arab revolts and revolutions were about a positive sort of legitimacy: democracy, freedom, social justice and individual rights. They remain an unfulfilled promise, but no one in Egypt, Tunisia or Libya is really afraid to speak anymore. The cacophony that has ensued is the most liberating feature of rejuvenated societies. It already echoes in parts of Syria. When I was in Hama this summer, a city still scarred by memory and for a brief moment freed from security forces, youths embraced their new space by protesting every couple of hours in streets made kinetic by the allure of self-determination. They demonstrated simply because they could. In Homs, a city whose uprising could prove Syria’s demise or salvation, youths drawn from an eclectic array of leftists, liberals, nationalists, Islamists and the simply pissed-off articulated the essence of courage: They had come too far to go back. His country, though, is not yet liberated. Not in the sense of a dictator’s fall, or a coup vanquishing the family, or a rebel army entering Damascus or Makhlouf sailing off in the boat he swore never to board. Syria is still subsumed in the logic of fear, which forces once diverse societies to hew to their smaller parts, obliterating the ability to imagine broader communities and other identities. Beyond a set of principles, or promises so vague as to inspire more fear, no one has described the Syria of tomorrow. Not Assad, who offers his people a path back to the 1980s, when a stern government presided over a dreary economy with the grimace of a police state. But the opposition hasn’t really either, and that lack of vision has left frightened minorities more aligned with the regime. There may someday be a vision for Syria and the Middle East that draws on their past, where ancient trajectories of the Ottoman Empire stitched together a landscape that often embraced its many identities. There is probably a future in which loyalties are less to the state and more to those antique metropoles like Aleppo, Tripoli, Mosul or Beirut, which often answered questions of community better than the contrived countries that absorbed them. The term might be post-Ottoman, where borders that never made all that much sense are encompassed by connections from Cairo to Istanbul, Maydan to Basra, and Marjayoun to Arish, in which people can imagine themselves as Alawite, Levantine, Arab, Syrian, Eastern — or some hybrid that transcends them all. But none of that is possible until the smallest identities are protected. A Tunisian Islamist named Said Ferjani told me a few weeks ago that such safeguards and guarantees would require what he called “a charismatic state.” It was the antithesis of all those sempiternal leaders, presiding over imperiums with hollow slogans and manipulating society’s components with cynicism portrayed as principle. A charismatic state could mend itself, reform, adapt and heal when it failed in its fundamental task, delivering the rights and duties of citizenship. And only in citizenship, he told me, could diversity be preserved and protected. Citizenship, he seemed to suggest, would permit us to become greater than our parts. It would allow us to imagine. Toward the end of the interview with Makhlouf, over a dinner of fish, he warned of a zero-sum future, Syria falling into the hands of militant Islamists, infused with intolerance and bent on vengeance. In Assad’s Syria, it still seems, there is no imagination.